Interesting and concerning climate-change influenced weather in the global forecast for the next ten days. As the Arctic is projected to cool down, it will open a brief window for sea ice to grow above its present track toward a record low maximum. However, any new edge ice will likely be weak and thin relative to past years. Meanwhile, sections of western Antarctica are predicted to see above freezing temperatures over the next week. And all of these various swings are occurring in a world that is considerably warmer than normal. Today, as with practically every day since I began tracking global weather and climate back in 2012, the world’s temperature averages are warmer than normal. An odd and increasingly harmful warmth that is driven by atmospheric CO2 levels ranging above 405 ppm (490 ppm CO2e). High heat-trapping gas levels that are, in turn, primarily the result of human fossil fuel burning. The world, overall today, is about 0.7 C warmer than the 1979 to 2000 average. Compared to 1880s, that’s about 1.2 C warmer than a typical late 19th Century day. This warming is considerable. A long term average that is in a range comparable to the Eemian of about 120,000 years ago. In other words, the world we live in today is the hottest its been in more than a thousand centuries. Looking at the various climate zones, we find that every major region except the Arctic is warmer than average. This is happening as Northern Hemisphere Winter transitions to Spring and as the polar jet stream appears to be reasserting itself a bit after a major polar vortex collapse event during February. A new integral cold air vortex is gathering over Northwest Siberia — which is allowing cooler conditions to again reassert in the Arctic. Over the next week, temperatures in the High Arctic are expected to plummet. 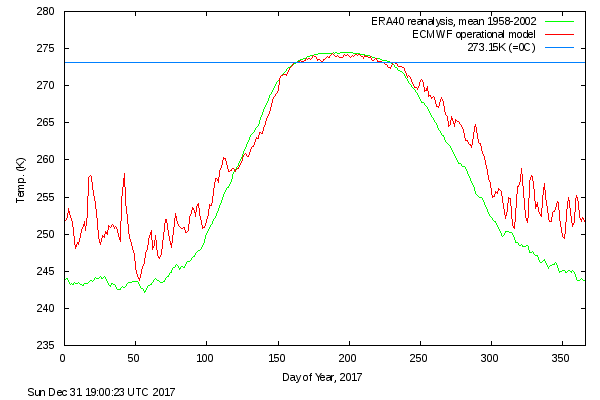 And for the first time since practically the start of Winter, readings over the Arctic Ocean zone are expected to range below average. Significantly colder conditions (relative to average) across the #Arctic over at least the next week. Brutal weather especially over northern Russia. As noted above, the cold pole appears to be asserting in the region of Northwest Siberia. But cold air pushing out into the Barents, North Bering, North Baffin, and Irkutsk regions will afford some opportunity for a sea ice rebound. This cold air retrenchment is expected to be juxtaposed by significant warming through Northern Canada, Alaska, the Southern Bering, Southern Baffin Bay, Southern Greenland and in a zone just north of Svalbard. This warm pole will likely help retard any sea ice bounce coming from cooler air asserting on the Siberian side — constraining ice growth in a number of edge zones and possibly asserting some counter-cooling melt. We may even see a polynya open up in the Beaufort as temperatures over Alberta rise to above freezing and warm winds drive northward. As a result of this warm-cold dipole, and the related warmth in certain key ice edge zones, it remains uncertain whether sea ice will bounce enough to overcome an otherwise strongly asserted trend toward a record low Arctic sea ice maximum for 2018. But if such a bounce back were to happen, the opportunity for it to occur will be during this week or next. As the Arctic is predicted to cool down this week, the Antarctic is expected to heat up. By late this week through next weekend, a powerful plume of warm air is expected to drive above freezing temperatures across Marie Byrd Land and the Ross Ice Shelf in West Antarctica. As with recent Northern Hemisphere Events, a high amplitude wave in the Jet Stream will drive much warmer than typical temperatures far into what should be a frigid polar zone. 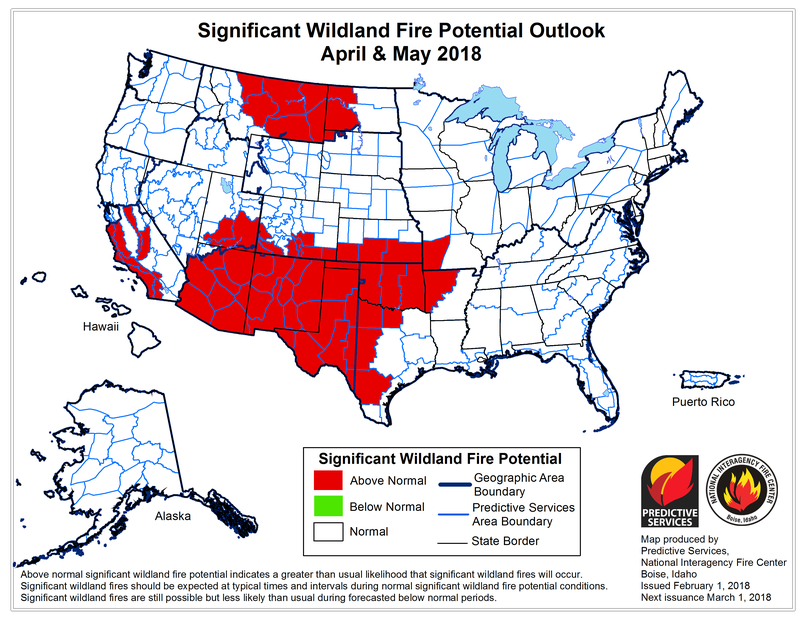 This warming event is predicted to be rather intense and last for 2-3 days, with temperatures rising to 25-30 degrees Celsius above average in certain zones. Such a warm-up would push surface temperatures in some locations to 2-4 C or warmer (up to 40 degrees F) and would likely produce periods of surface melt. These kinds of melt events have been a more frequent occurrence for Antarctica recently. 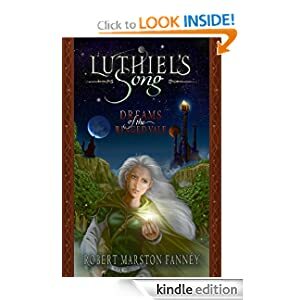 They’re a part of the larger trend of ice mass loss both at the surface and on the underside of sea facing ice sheets as the local ocean has warmed. 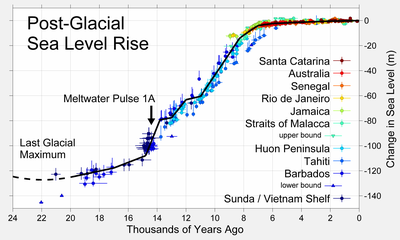 A primary driver of a noted acceleration in the rate of global sea level rise. 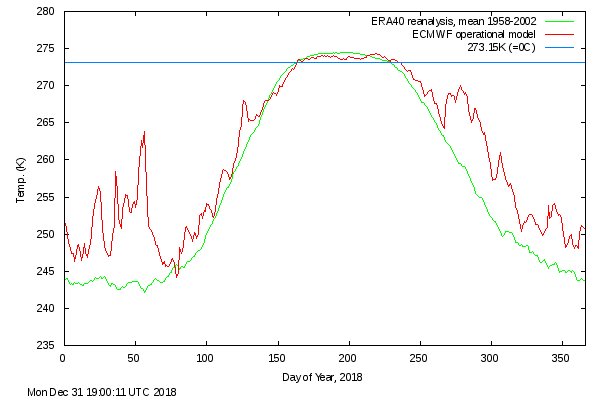 Looking on into next week, a subsequent warming in East Antarctica is expected to push temperatures for the whole Continent into a range approximately 3.5 C above average. This event, however, is not expected to drive significant above freezing temperatures inland, though some coastal areas may see brief departures into these ranges.